Zelah is a "Cleanaholic". Since the death of her mother several years ago, she lives in a constant war with germs and dirt; her life organized around compulsions that make her wash her hands thirty-one times or jump on the stairs. When Zelah's dad disappears, her stepmother sends her to hospital to "deal with her little problem". Suddenly Zelah is in a completely different environment, surrounded by other teens with a variety of problems and she begins to realize that she cannon let her ccompulsions control her anymore. But it is an uphill battle when the very thing you fight is the only thing that gives you a sense of peace. Curtis handles severe obsessive-compulsive disorder with a frank, unflinching quality that pulls readers in to Zelah's thoughts and motivations. 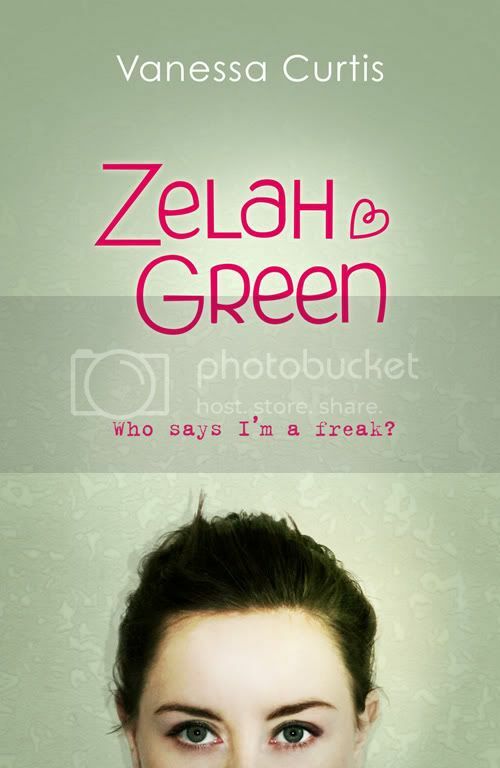 Though Zelah Green covers dense topics including OCD, anorexia, cutting and anger management problems in teens, this is not a dense read and should appeal to reluctant readers. The subject matter is something that many teens confront either in their own personal lives or through dealings with family and friends. This is a good novel for a Teen Book Club since the subject matter and characters raise interesting discussion points.